The Women’s Bureau, the Summit’s organizer, is 92 years old. Some 72 million women are either working or looking for work in the United States. Works to end domestic violence, teen pregnancy, and increase Green Initiatives. Dr. David Micheals from OSHA in DC addressed the audience regarding current efforts to increase health and safety of American workers. How do economics, education, immigration affect women? Lily Ledbetter Pay Act was signed into law by President Obama January of 2009. Let’s level the playing field. Explore the White House Council on Women & Girls to engage in competitive, non-traditional careers. Women veterans enter a male environment when seeking help for assault. They also often return from tours of duty to homeless families. Technical training and what the business community wants are the wave of the future. $2 billion in TAA funding available for expansion of such programs. Literacy efforts and collaboration with community-based organizations are also necessary. How can we provide services and advocacy in environments that are not intimidating? How can we empower women & members of vulnerable communities to know and access their rights without fear of retribution? More needs to be done to prevent injuries in beautification, home healthcare, and other industries where women workers predominate. Hiring, wages and family care leave are other areas where Department of Labor is working. To improve employability, redundant workers must get help translating skills and life/work experience credits. Free Trauma Guide is available for churches and other community-based organizations. Enhancing STEM skills and participating in renewable energy are a place to start. OSHA is 40+ years old. In that time their work has reduced the death rate from 38 to 13 fatalities daily. Brazilian Blow-out contains formaldehyde which has been linked to several diseases. One in six career-destroying, life-changing injuries take place in healthcare-related industries where women are a majority of the workforce. Dr. Michael’s plea: Remember the sometimes invisible workers as we push toward progress as a nation. Everyone should have a safe job with a fair wage. We know how to prevent injuries to healthcare workers. Doing so is essential to taking care of patients. The number 1 reason the Women’s Bureau gets calls is pregnancy discrimination which can take many forms. Pay discrimination is the next biggest issue. Over a lifetime 77 cents on the dollar for every dollar earned by a man adds up to a $400,000 difference which often leads to raising children in poverty and retiring in poverty. 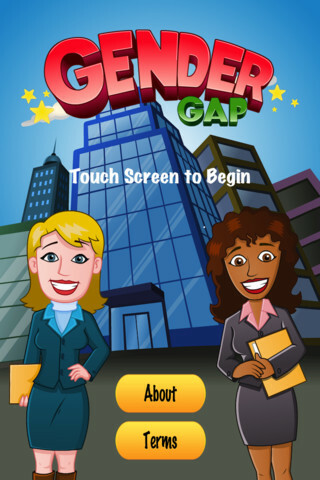 Check out their Equal pay app.